You could holiday in France all of your life and never get bored but pinning down your campsite can be hard to choose without help. Our hand-picked campsites are specially chosen so you can experience each wonderfully diverse region whether you are travelling with your family or pet, or both! Discover our range of French campsites in the best locations and book your holiday in France today. From the beaches of the Vendée to the magnificent French Alps, camping holidays in France are as varied as your destination. In the north, there’s a rugged coastline interspersed with sandy coves while France’s south coast offers long, hot summers and glorious stretches of golden beaches. In central France the landscape is lush and green with majestic rivers like the Loire and the Dordogne. Sharing a border with Germany and situated between the river Rhine and the Vosges mountains, Alsace is the beautiful Germanic region of France with picturesque villages and captivating capital Strasbourg. With two nature parks and a long string of volcanoes, camping in the Auvergne is the best way to enjoy and explore the region’s varied and astonishing landscapes. Easy to reach Brittany with its rugged northern coastline, sandy beaches, medieval towns and thick forests is ideal for explorers. With glittering bays, gorgeous beaches, and vibrant cities framed by mountain ridges, camping in Corsica offers huge variety for holiday makers whether you enjoy hiking and canyoning or snorkelling and sunbathing. The Cote d’Azur and Provence have always been Canvas favourites with long sunny days, uninterrupted stretches of beaches, lavender fields and sheltered coves. The French Alps offers more for holidaymakers than a great skiing and snowboarding destination. Explore medieval towns, historical landmarks, picturesque freshwater lakes and visitor attractions. Jura is a feast for the eyes with vineyard covered hills, nature park, forested Jura mountains, alpine meadows and beach-fringed lakes for campers to explore. Stretching from Provence to the Pyrenees, our campsites in the Languedoc-Roussillon give you access to French treats such as picturesque villages and vineyards to the fairytale town of Carcassonne and medieval Montpellier. 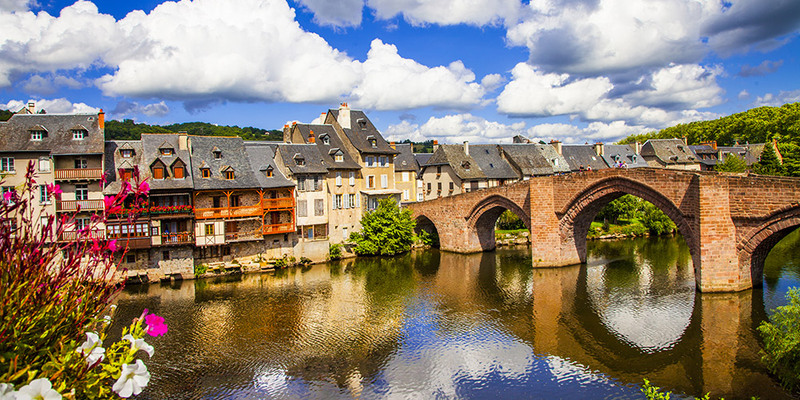 If your looking for a camping holiday a little more off the beaten track in France, head for the rural and lesser-populated region of Limousin with it’s medieval hilltop villages, verdant river valleys, imposing châteaux and stunning scenery. If you want maximum character on your French holiday, you can’t beat the Loire with its gently rolling countryside, charming towns and magnificent châteaux. A part of Occitanie, Midi-Pyrénées is known for it’s beautiful capital Toulouse but is also popular with Canvas campers looking for outdoor skiing and hiking adventures in its’ wooded foothills, mountain pastures and open terrain. Just a short flight or ferry across the channel and you are in the French region of Nord-Pas-de-Calais with its dramatic coastline and beautiful countryside where campers can enjoy seaside resorts, water sports, and nature parks. 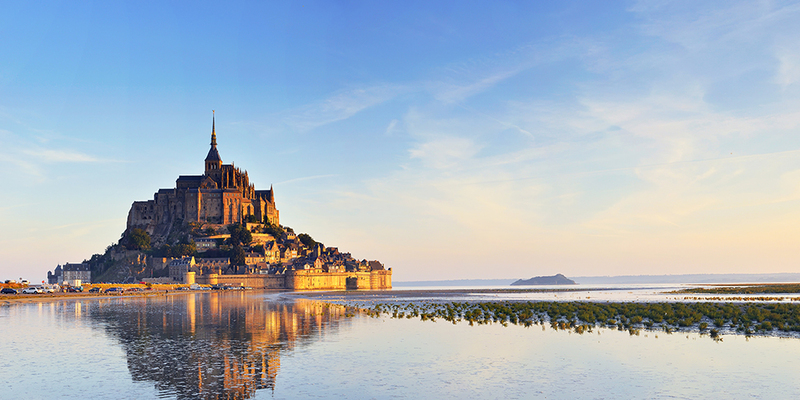 A camping holiday is the perfect way to explore the Normandy region of France with it’s 360-mile long coastline, picturesque market towns, historic landmarks and World War II landing beaches. Camping in Paris makes the perfect French holiday. Use your relaxing campsite as a base to explore and all the iconic sights of Paris, theme park fun at Disneyland Park or the beautiful and historic Palace of Versailles. 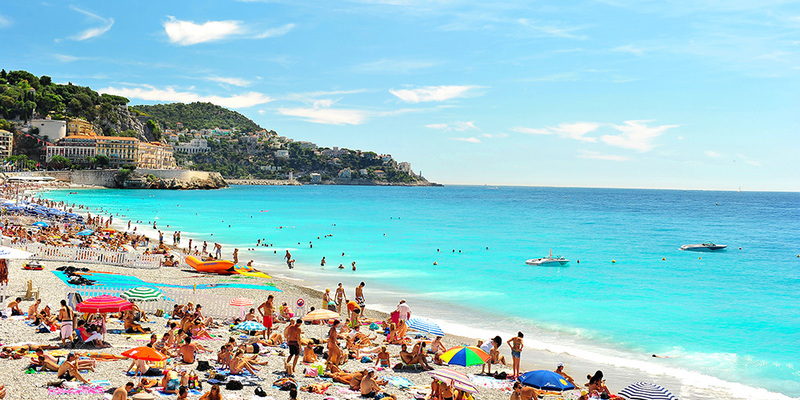 This lovely part of France combines great weather with a relaxed atmosphere and miles of golden beaches. Explore Ile de Ré with its white-washed houses, sandy beaches and miles of flat cycle tracks or visit the exciting aquarium in the delightful city of La Rochelle. 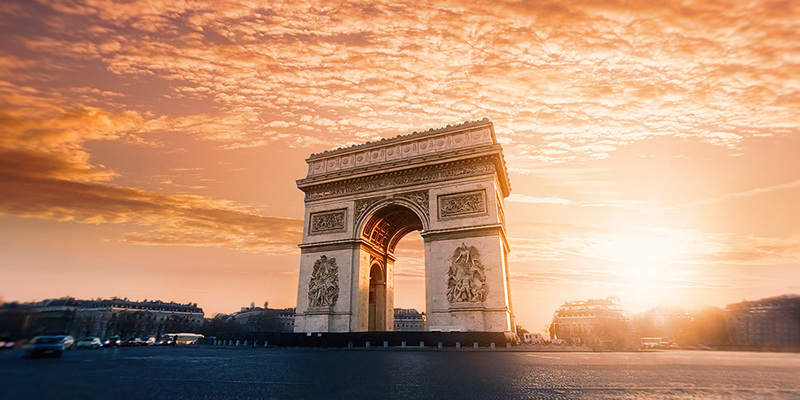 With more days of sunshine than most of Europe and more parkland than much of the rest of France, Southwest France has everything you expect from a top holiday with medieval fortified cities, long rolling Atlantic surfing beaches and fabulous theme parks. Known for its long coastline and sandy beaches, the Vendée in Western France is a great base for camping holidays, with so many things to do whether you’re looking for a relaxing beach holiday or fun outdoor activities and events. You can’t beat France in the summertime. Check out Canvas’s summer hot spots for camping holidays in France or choose from one our top French campsites by the beach. Camping Château de Galinée is just a five minute drive from the stunning expansive beaches of the Emerald Coast in North Brittany. Camping Domain d’Inly in Brittany is within walking distance of the beach at La Mine d’Or and close to the seaside resort of La Baule with one of the most beautiful beaches in Europe. 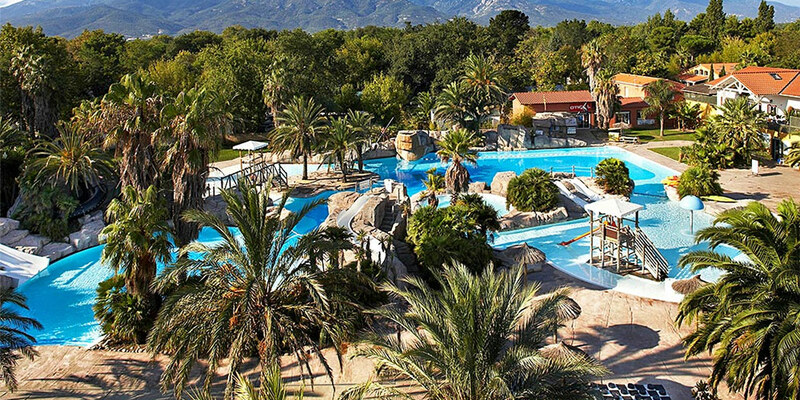 If you can tear yourself away from the amazing pool complex at Camping la Sirène in the Languedoc-Roussillon region, there’s a nearby beach with water sports. Camping le Vieux Port is a fun campsite with direct access to a long sandy beach. 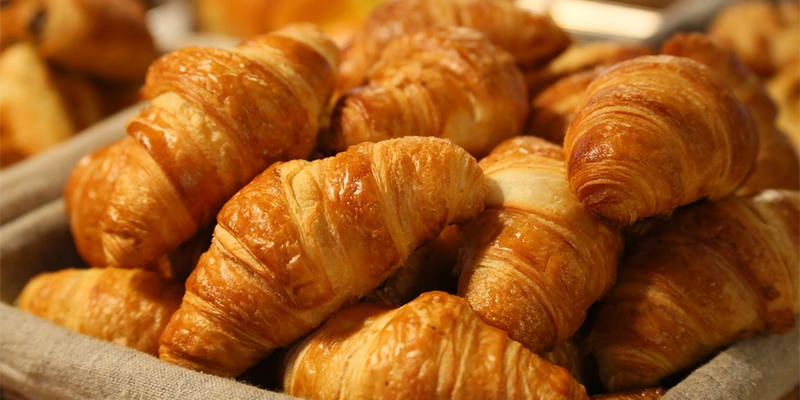 Croissants and coffee, leisurely lunches, beautiful weather and gorgeous countryside – there’s so much to do when camping in France! You could relax at your campsite sunbathing by the pool or enjoying the water park. If you’re feeling more adventurous why not go mountain biking in the Côte d’Azur, surfing in Gascony, hiking in the Pyrénées Mountains or canoeing in the Ardèche? Easy to get to, but a great way to ‘get away from it all’, France is the perfect European holiday destination giving many campers their first taste of camping abroad. Just don’t forget to take your speedos!